After a lot of dilly-dallying, the AIADMK-BJP alliance for the upcoming Lok Sabha election is expected to take shape in a week with more vigour, after Pattali Makkal Katchi (PMK), the erstwhile NDA partner, almost decided to join it. A formal talk among the parties concluded on Thursday in Chennai when the BJP leader in charge of Tamil Nadu and Union minister Piyush Ghoyal held a marathon conversation with both the party leadership. 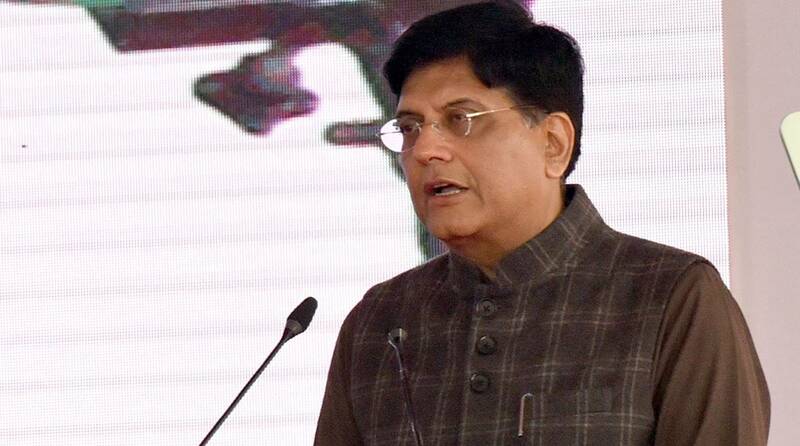 Goyal returned to New Delhi on Friday morning and is expected to be back in Chennai for further talks next week. Though Piyush Ghoyal officially held discussions with the AIADMK representatives ~ P Thangamani (power minister) and S P Velumani (local administration minister)~ sources informed that he also held talks with Chief Minister Edappady K Palaniswami and Deputy Chief Minister O Panneerselvam at the bungalow of a leading industrialist in Chennai, who is close to the party. Except seat-sharing formula, all other issues have been sorted out, said party sources. According to the party insiders, BJP is demanding eight seats and PMK five seats. This is the first official meeting between the AIADMK and the BJP. “We do not see any reason why there should not be any alliance between the AIADMK and the BJP. A formal announcement about the alliance would be made soon,” said Narayanan Thiruppathi, spokesman of the BJP. Another BJP leader said that discussions were on with leaders of the Pattali Makkal Katchi (PMK), the DMDK (led by actor Vijayakanth) and Dr Krishnasamy’s Puthiya Tamilakam. “There is a possibility that Tamil Manila Congress led by G K Vasan, too, would join the AIADMKBJP alliance though it may take some more time for an announcement,” said the BJP leader. Since Stalin is not so keen in including the Mamata Banerjee-led Trinamool Congress in his front, Vasan is left with only two options, either to pitch his tent in the AIADMK-BJP front or to sail with TTV Dhinakaran’s AMMK. But Anbazhagan, political commentator who is close confidante of Dhinakaran said Vasan would not join the BJP alliance and would join hands with the AMMK. Meanwhile, the DMK-led front has started its campaign for the polls buoyed by the opinion poll results by some of the leading private agencies which forecast a total sweep in Tamil Nadu by the DMK. Though Stalin has not announced the constituents of the rainbow alliance, it is certain that the Congress, the Left, the VCK, Muslim League and Vaiko-led MDMK would figure in the DMK-led front. The AIADMK has nearly 28 per cent of vote share in TN.